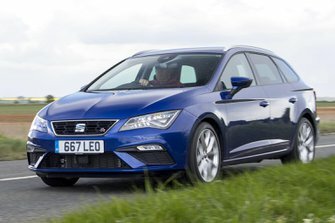 Seat Leon ST Boot Space, Size, Seats | What Car? There’s more than enough space for a couple of tall adults in the front, with particularly good head and leg room on offer. There are plenty of cubbyholes for assorted clutter, too, including an armrest with a storage compartment on all but the entry-level editions, a pair of cupholders between the seats, plus a decent-sized glovebox and front door bins. The addition of an electric handbrake on all but S trim also frees up an extra cubbyhole between the front seats. We also like the optional wireless phone charging system that can hold your mobile in place no matter how hard you drive. Despite the thick pillars behind the back doors, the rear of the Leon ST’s interior still manages to feel relatively airy. There’s space for three, but if they’re three adults it’s a squeeze. 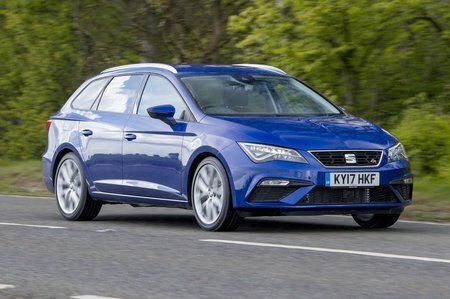 If it’s just two though, only the really tall are likely to grumble about leg room or head room, and the Leon is on a par with the likes of the VW Golf Estate, albeit not as spacious as the bigger Skoda Octavia Estate. Rear-seat passengers don’t get lots of storage space, but there are useful door bins that are big enough for a reasonably large drinks bottle. It’s also fairly airy and light, which means passengers won’t feel hemmed in on longer journeys. The Leon is a conventional family estate car so unlike MPVs and SUVs, doesn’t try to do anything especially clever with its seating configuration. The rear seatbacks fold down in a 60/40 split to extend the boot space, but that’s your lot. The passenger seat height is fixed in entry-level S trim, but if you follow our advice and step up to the SE Technology model at least, then you’ll be rewarded by a seat height adjuster as standard, but only upper-spec FR Technology models get the added bonus of passenger lumbar adjustment. 587 litres. That’s how much space you get in the ST’s boot. So what does that actually mean in the real world? Enough space to take a couple of large-ish suitcases, a fold-up pram, or a typical weekly shop for a family of four. So it’s good, but not the best; a VW Golf Estate or Skoda Octavia Estate is bigger still. 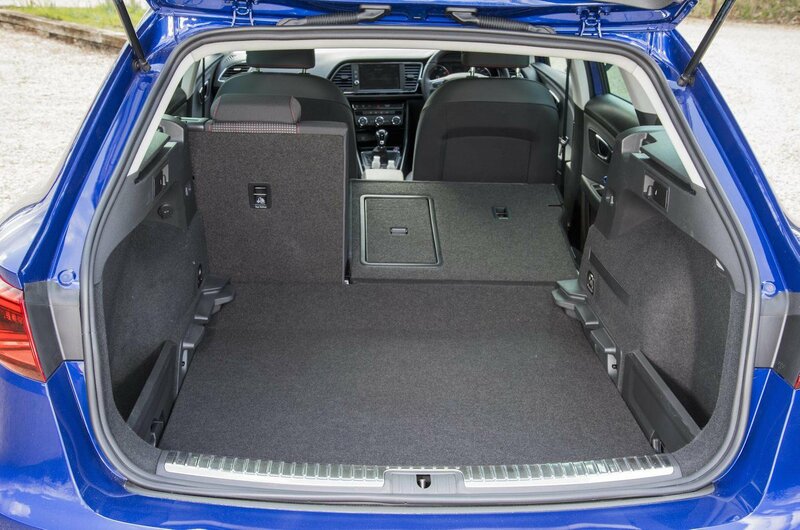 All but the standard S trim has the option of a dual-height boot floor (standard on X-Perience models); it’s not an expensive option so we’d say go for it, because in its upper position this creates a separate storage area, and also smoothes out the step left when you’ve folded the rear seats down. These lay almost flat, but not quite, so getting in larger loads could be awkward. In the boot you’ll find useful additions such as four lashing eyes and a 12v socket.